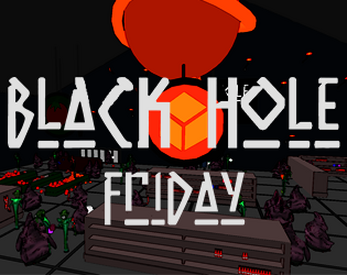 BLACKHOLE FRIDAY is a VR arcade game about running for errands in a store and taking the most items in a very short time. It was made in 48 hours during the Jam Nation at Montreal ComicCon,. Please leave your comments in the Feedback thread below. Our goal was to test a new locomotion system. You need to move your hands like your're running. We found it was fun and built a store with aliens AI wandering around and taking piles of various items. It's a score-based game, but to satisfy the judges at the end, you need to complete somes objectives on your errand list.